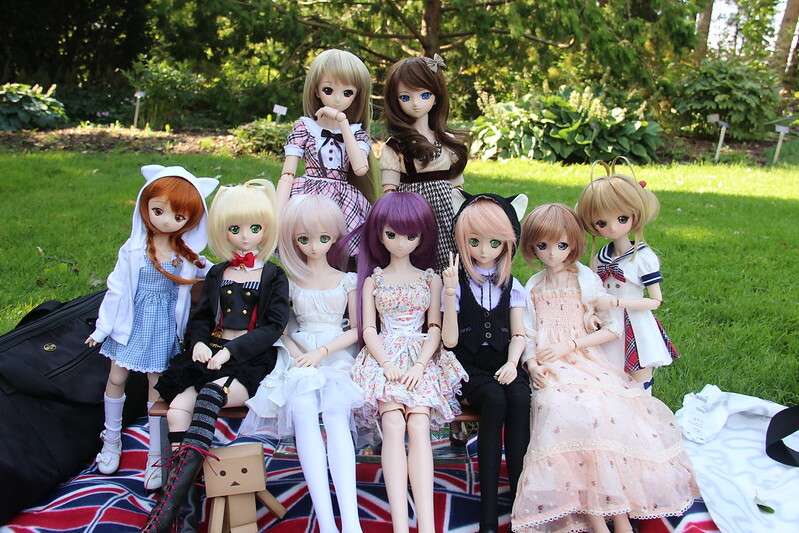 This month we decided to take our doll meet to a completely different location! We tend to stick around Toronto, but we have lots of attendees that come from out of town so we decided to spend our day out in the Niagara region. We met up at the botanical gardens for a little picnic. This is the best time of year for fresh peaches, apples and other fruits and we purchased some from a local orchard. What we underestimated was how windy it would be! Here are the dolls before girls started getting blown over, and huge tree branches started falling from the sky! It was absurdly windy so I didn’t take very many photos. 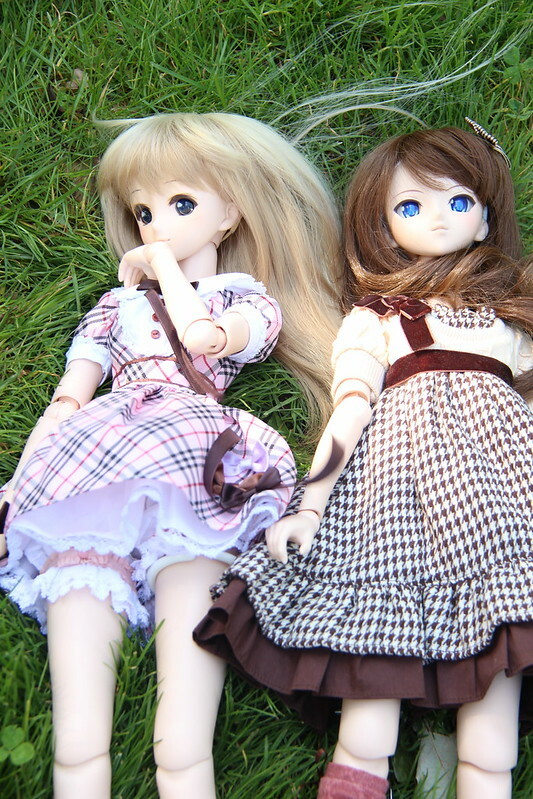 Does this look like PlasticFantastic’s Yuki and Rin are relaxing in the grass? Nope – the wind blew them over!